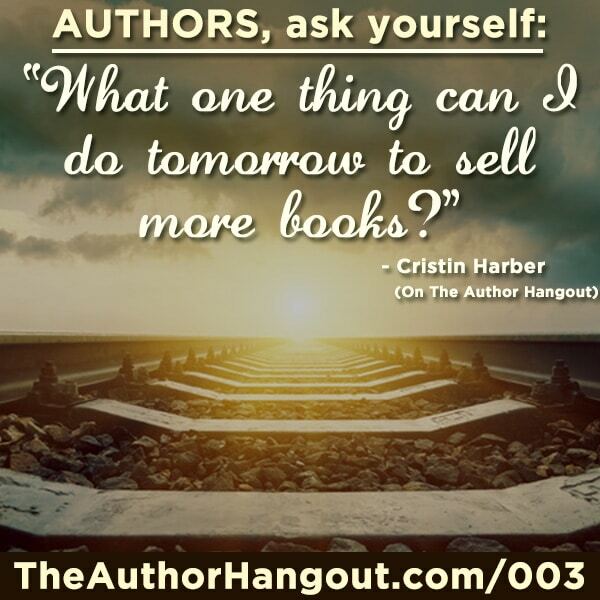 Welcome to the third episode of The Author Hangout, a “Hangout on Air” designed to help authors, especially self-published and indie authors, with marketing their books and improving their author platform. Authors struggle with various aspects of marketing and we are here to help! One of the key things that self-publishers need to realize is that they are in charge of marketing. If you do not market your book, who is going to market it for you? 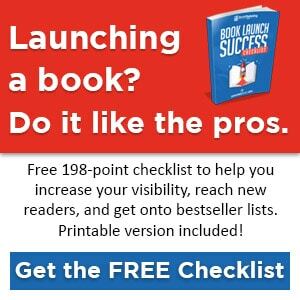 One of the best ways to market your book is to find your readers. They are online, they are waiting to learn about books like yours, you just need to find them. We were joined by bestselling author Cristin Harber who sold 20,000 books in 1 month! 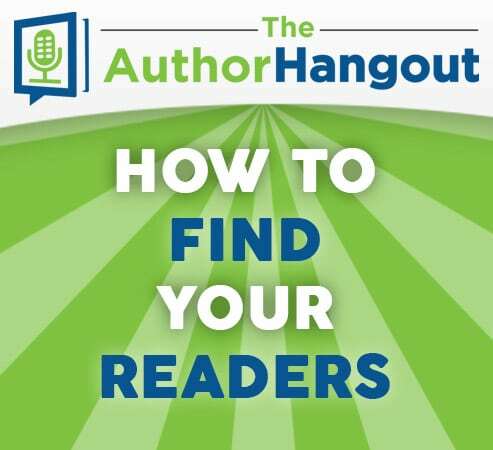 Watch the video below, listen to the podcast, read the writeup, and learn how to find more readers for your books! Reading Deals Book Reviews – Low-cost option for REAL book reviews. 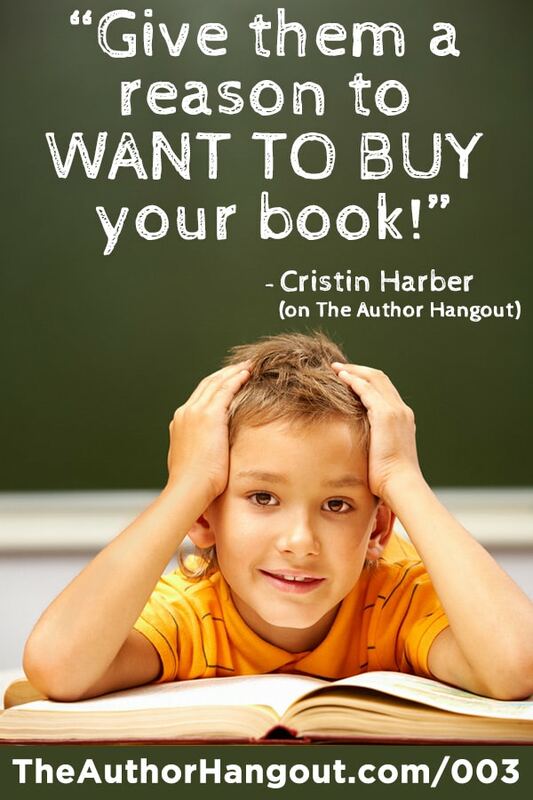 Cristin Harber is a self-published author who began publishing in September 2013. Since then, she averages 10,000-15,000 book sales a month and has even hit 20,000 sales in a month! WHOA! She previously worked in politics and she used a lot of the same strategies to find her readers, as she did to get the vote out in her previous work. She joins us and answers many different questions from Shawn and the audience and her answers were fantastic! See the write up below! How do I find readers in __________ genre. The key is to find where readers are hanging out online. What sci-fi blogs do they read? What romance reviews blogs do they get their book suggestions from? What Facebook groups are they in? Go there! How do I find readers of a specific age group? Watch the video to see some great tips and techniques for tracking the effectiveness of her Facebook ads, and some other ways she targets specific people via Facebook ads! Watch the entire video to see what specific technique Cristin used to keep that relationship going, and what many other authors do that actually HARMS those types of extremely beneficial relationships that help you reach new readers using other peoples’ audiences. Any other ideas for getting book reviews? Watch the video to see why this approach, even if expensive, was worth it for Cristin. How important is it to have a critique partner in the process? How to get a critique partner? She also discusses some other great ideas for cross promotion, and how to really engage your readers, so be sure to watch the video for those ideas! It is free, and you can find a link to the site in the resources listed above. How did your experience in politics play a role in marketing your book? She shares some great ways for authors to have a multi-faceted approach to book marketing, so watch the video above! She then explains the exact way she translated that into an awesome book marketing skill that really paid off. To see Cristin’s face and reaction being stumped by Shawn was classic. You have to watch the video above to see it! She followed it up with some of the steps she took to accomplish that task every day. What are you currently doing to capture more readers? Cristin shared a lot of great ideas that she is doing to get more readers, many of which include cross promotion. One of the ideas was Facebook launch parties. This is a fantastic idea. Be sure to watch the video for more great ideas of things she is currently doing to promote her book and engage with more readers. How do you engage with people on social media? Cristin explained some of the ways she connects with people on Twitter, so see the video for that. Shawn then talked about how he studied Cristin’s profile, how important it is to study leaders such as Cristin, and follow in their path. and Create a sense of excitement. Follow those steps, and you will definitely be able to connect with more readers on social media. Right here… Scroll up to watch the video and listen to the podcast/audio edition. Jump to a specific spot in the video! Click the “read more” link in order to see all of the video timestamps to jump ahead! A great way to see the entire video and get specific tips for how to find more readers.